It’s fair to say that Erie residents are sick of winter weather this year. The city has endured a whopping 193 inches of total snowfall this season, leading the entire nation for big cities. It only would have taken about 7 more inches of snow to break the all-time record held by Buffalo (199.5 in). And as surprising as it may sound, Erie potentially could have surpassed this record if it had been enveloped in Winter Storm Toby, the nor’easter that is currently blanketing the country. Toby is the fourth winter storm this month to strike the northeastern portion of the country. 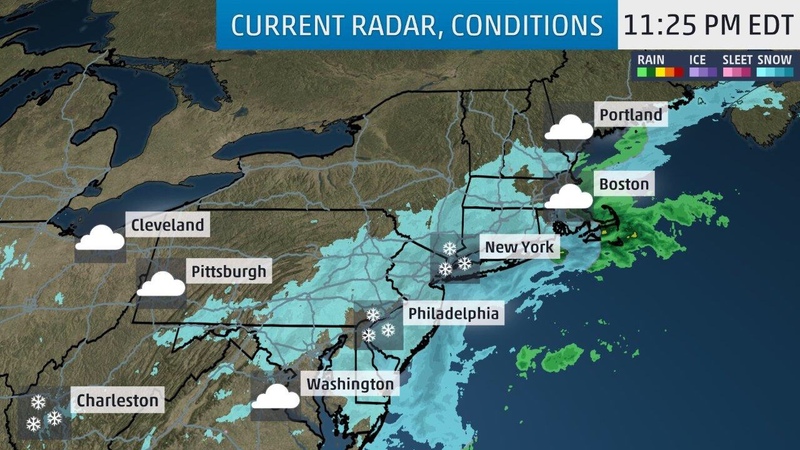 Already, the storm has been reported to produce about 8.6 inches in parts of New York as it continues to cake the region in snow. The heaviest hit area afflicted by the storm seems to be the town of Windber, Pennsylvania. The borough has endured an impressive 19 inches of snow from this storm, surprising many meteorologists and weather experts. The storm is expected to conclude Thursday morning in New York City. The bitterness and intensity of Toby caused many complications for those in the afflicted areas. Over 4,400 flights were cancelled due to the storm. In some cities like New York and Philadelphia, schools were closed or delayed because of the relentless nor’easter.